Over the past few weeks, a spotlight has illuminated the recurring problem of unlawful harassment in the workplace. The increasing frequency of allegations within the halls of some of the country's most successful industries and organizations has society (and for sure a large population of management-side employment attorneys) shaking its collective head. The questions are as old as the problem. How are these situations created? How are they allowed to exist in today's work environment? The scale of the problem is certainly immense. 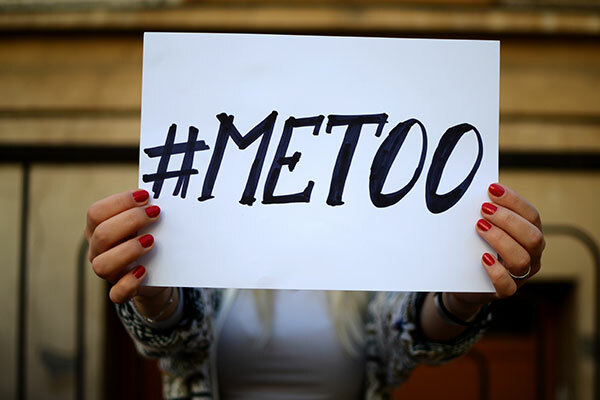 A June 2016 study released by the Equal Employment Opportunity Commission's Select Task Force on the Study of Harassment in the Workplace confirmed that nearly one-third of the 90,000 charges received by the Agency in FY2015 included allegations of workplace harassment. For that same year, the EEOC reported recovering $164.5M from employers for workers alleging harassment. Many employers have listened to the warnings (or learned from costly mistakes) and invested in training and increasing human resources services and personnel. Most employers have already developed policies prohibiting unlawful harassment. Handbooks and orientation materials warn of the strict consequences ("…up to and including termination") which result from a violation of those policies. Yet the problems persist. The EEOC's June 2016 report concluded that approximately 75% of women who experience sexual harassment do not complain internally. This raises another important question: how can an employer address a problem of which it has no knowledge? One common answer to most labor and employment issues is to continue to educate, train, and convince the workforce that the policies provide meaningful protections. It is essential that training and education go beyond an overview of the policies themselves. Training and education must address the common sources of harassment in the workplace, explain the mechanisms for reporting, and promote individual worker responsibility and accountability for maintaining professionalism in the workplace. Employees must be trained on how to recognize harassment and address it before it becomes a larger problem or insurmountable problem between individual employees. Managers and supervisors also must be trained on the legal consequences of their action and inaction (including a failure to report) on the organization. Individuals with authority have additional responsibilities to their co-workers and the organization. Critically, employees must also see that this education and training has the absolute support from those at the top of the organization. Abraham Lincoln's famous quote, "Actions speak louder than words" applies unquestionably to an employer's obligation with respect to workplace culture, and employers must work to build an environment in which employees feel secure enough to take advantage of the resources available within the organization. This absolutely has to go beyond the words of policies. Annual education and training around unlawful harassment are the tools by which employers can begin to build that culture. The desired healthy workplace culture, however, will not take root if the highest levels of the organization are immune to the policies and procedures put into place. It is no surprise that many of the sexual harassment allegations making headlines recently implicate conduct coming from the C-Suite. That is not because high-level executives are more prone to engage in unlawful harassment. Rather, it is because paralysis often occurs within the compliance departments when a complaint implicates the boss. No one quite knows how to internally investigate the Chief Executive Officer and, unfortunately, the default response often is an incomplete and inadequate investigation that leaves employees with a clear message – the policies and procedures may not apply to everyone. Similarly, little can be more chilling to fostering a healthy workplace culture than the lack of any discipline, consequence or follow through when policy violations including harassment are found to have occurred, regardless of the rank of the offender. The easy solution to such situations, which may have the added benefit of keeping the company off the front page news, is to seek outside assistance. That can come in the form of outside counsel, a human resources consultant, or other experienced professionals who objectively can investigate allegations and recommend an appropriate course of action. Consulting with an employment attorney, regardless of the level of the employee implicated, also can ensure the organization is taking the right steps in the process and handling of a complaint. Until employers universally see the value in expending resources on proactive, preventative measures, unlawful harassment will continue to exist in the work environment and employers will continue to face claims that will cost more to defend (regardless of who prevails) than the cost of education, training, and investigation services which may help avoid the litigation in the first place. Investing in a combination of education, training and the advice of outside counsel also has an added benefit. These actions and programs put employers in a better position to defend legal claims if and when they arise. To that end, the EEOC's June 2016 report also revealed that 54% of the sexual harassment charges filed with the Agency were dismissed with findings of "no reasonable cause." Education, training, and advice of outside counsel will never be a guaranty against a claim. These actions most assuredly will, however, assist in improving the workplace environment, create a culture of compliance and provide important weapons to better defend litigation if that occurs. Chai R. Feldblum & Victoria A. Lipnic, U.S. Equal Employment Opportunity Commission, Select Task Force on the Study of Harassment in the Workplace iv (June 2016), available at https://www.eeoc.gov/eeoc/task_force/harassment/upload/report.pdf. Unlawful harassment includes not only sexual harassment, but harassment on the basis of other protected categories such as race, disability, age, national origin, color and religion. Feldblum & Lipnic, supra note 1, at v.
 Hiscox, Employee Charge Trends Across the United States 6, (2015), available at https://www.hiscox.com/documents/The-2015-Hiscox-Guide-to-Employee-Lawsuits-Employee-charge-trends-across-the-United-States.pdf (showing that of approximately 450 closed employment claims of small to medium sized enterprises, 19% of employment charges resulted in defense and settlement costs averaging $125,000). See also Paula Hannaford-Agor & Nicole L. Waters, Estimating the Cost of Civil Litigation, Court Statistics Project (National Center for State Courts), January 2013 at 7, available at http://www.courtstatistics.org/~/media/Microsites/Files/CSP/DATA%20PDF/CSPH_online2.ashx (projecting the median defense costs of an employment claim through trial at $88,000). Feldblum & Lipnic, supra note 1.